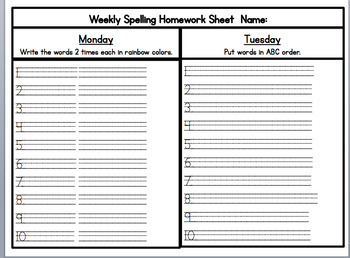 This sheet can go home with weekly spelling words for homework. 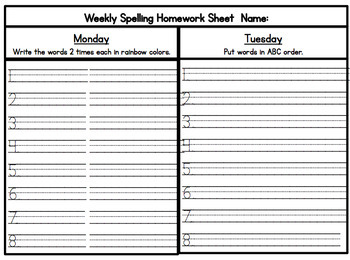 Students can record weekly spelling activities on this paper with 8 or 10 spelling words. For instance, Monday is rainbow write words 2 times and Thursday can be write a sentence for each word. This sheet can also be used with spelling centers, word walls, etc.